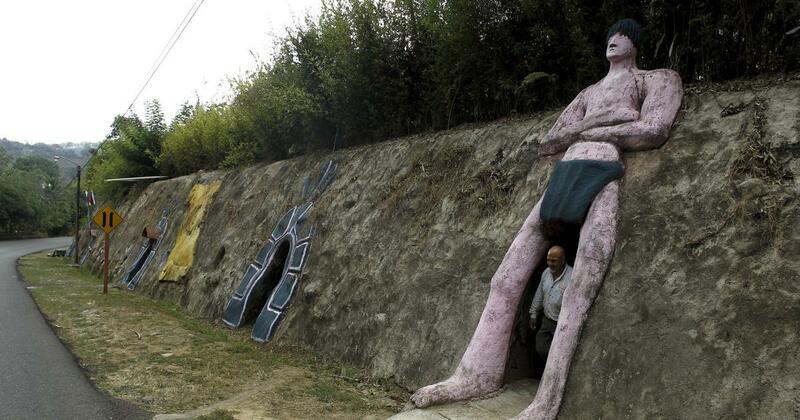 (Q24N) Manuel Barrantes started his hobbity quest for an underground home 12 years ago. 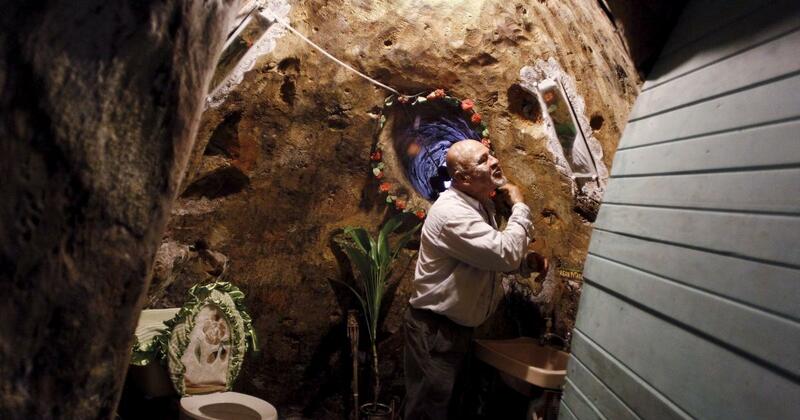 Like any good hobbit, the Costa Rican man doggedly pursued his dream and now lives in an underground mansion he’s dubbed Topolandia. Barrantes says the subterranean quarters offer peace and comfort, free from the noise pollution and climate change that plagues the rest of the world. His wife and family live underground with him. After years of work, the dedicated digger has burrowed through volcanic rock and red soil to carve out a 2,000-square-foot humble abode. 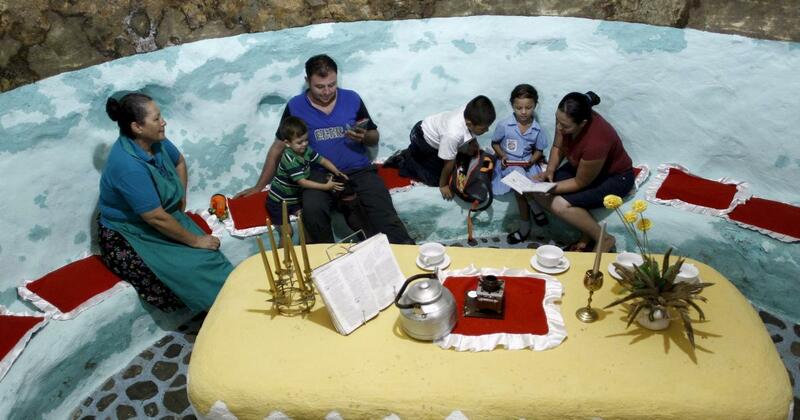 The home lies between 15 and 63 feet underground in the city of San Isidro, a Pérez Zeledón district about a three-hour drive south of the nation’s capital. 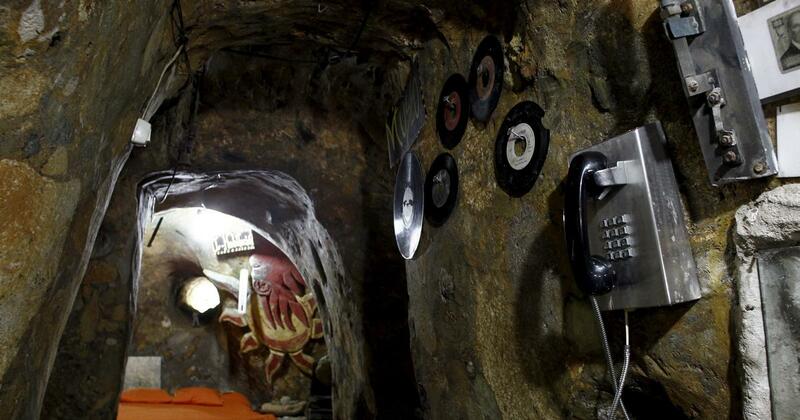 His man-cave includes a nook filled with sundry old stuff — everything from paper money to mugs to old vinyl records. 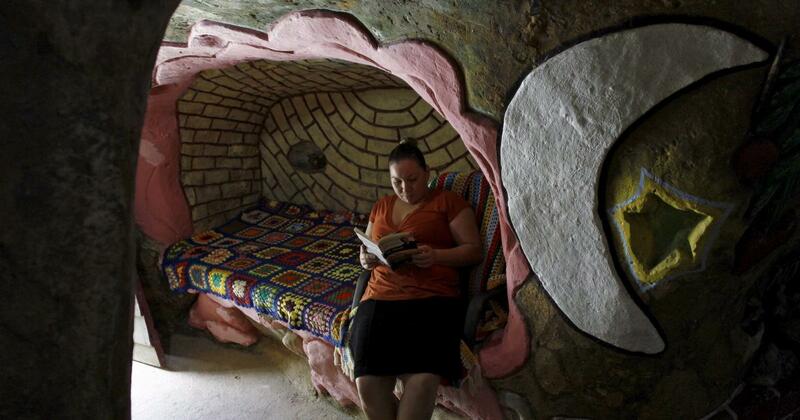 But, if the contents are cool, the walls are amazing. The masterpiece of modern-world escape features plumbing, stone beds and colorful, carved wall decorations. 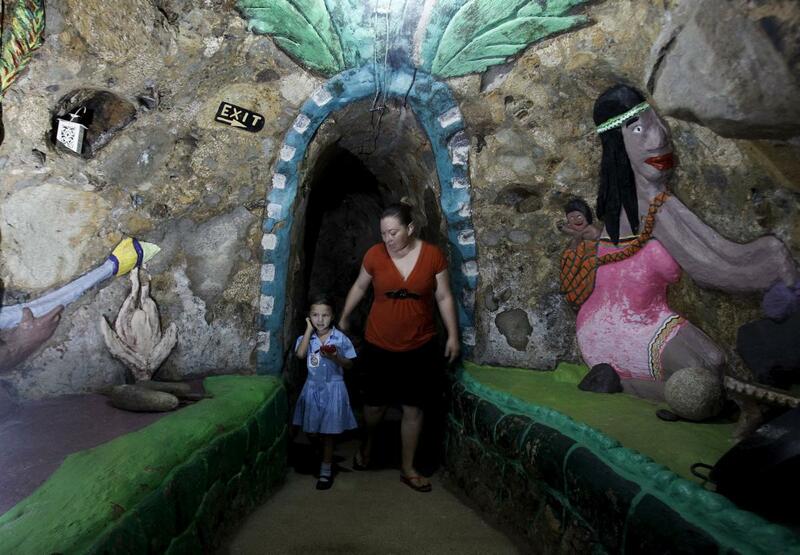 Some rooms are plain rock walls, but others are adorned with brightly painted symbols and art. There’s a shocking blue map of the Earth, stars and moons, an Egyptian pyramid and walls playfully painted like bricks. 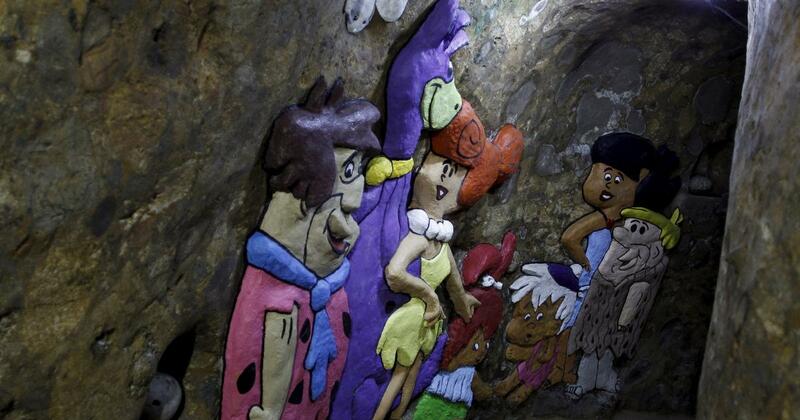 Brightly painted life-size renditions of “The Flintstones” characters are carved into one hallway but, lest the mood seem too light, there’s a skeleton carved into another wall. As awesome an abode as it is, Barrantes isn’t done. He’s continuing to expand his hobbit hole by hand, using a pickaxe. 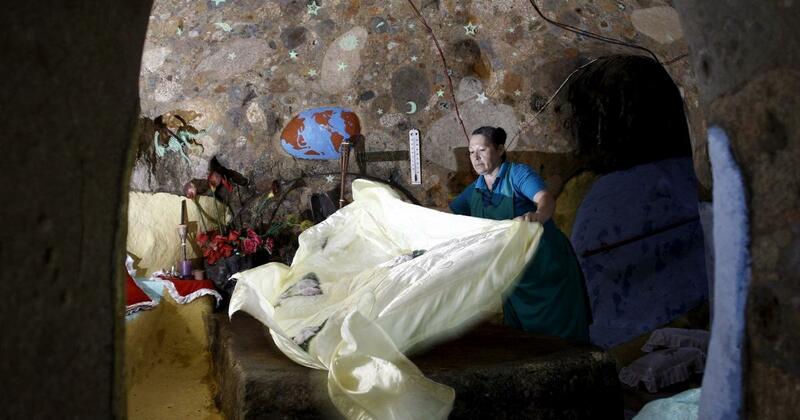 Perhaps predictably — given how bizarre the below-ground lodging is — Barrantes offers guided tours to interested visitors, as advertised on his website.